Few things can help one’s self esteem more than a completely rocking haircut and fresh color. Having a bad day? Week? Month? Get thee to a salon. 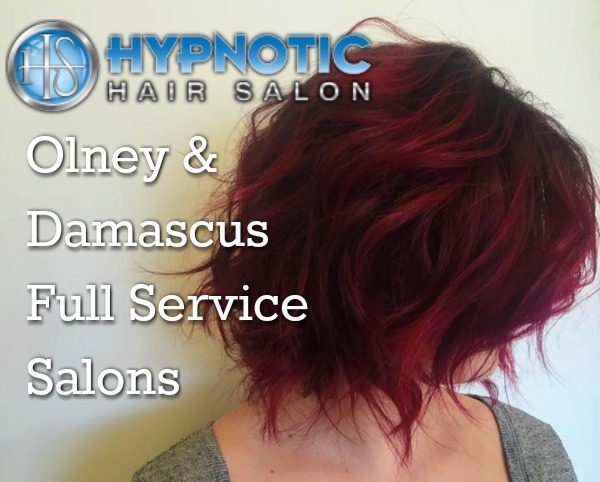 I have been going to Hypnotic Salon and Spas‘ two locations in Olney and Damascus for the past five years. Salon founder and owner Chrissy Mayo is my go-to stylist for women’s hair care services, primarily cut and color, but I have had the pleasure of working with several other members of the Hypnotic team as well. Below you can see me and Chrissy on a day that I arrived for a blowout after letting my hair air-dry on its own, six weeks after any hair cut or color services. 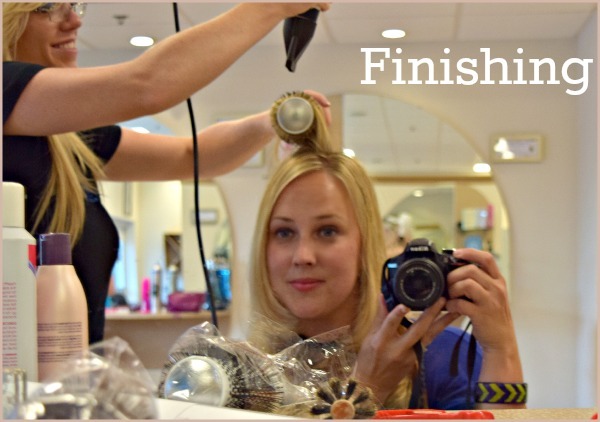 Chrissy’s skill is such that in order to accommodate my hectic schedule and budget, she has created a custom highlight blend recipe that allows my natural color to grow in without obvious roots. She also provides such quality cuts and product recommendations that I am able to maintain my cut’s shape and hair health, and go for two months between trims. 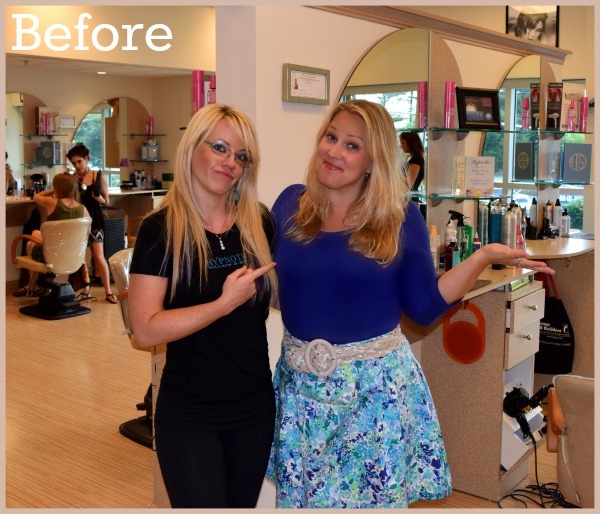 You can be matched with a Hypnotic hair stylist who likewise specializes in your look and needs. Whether you have curly hair, a precise short cut, pixie, bob, extensions, perms, one step color, various highlight processes or keratin straightening, you will find the stylist best for you. Men and children can receive hair care services, too — my own kids beg to go to Hypnotic for the luxe head massage and “magazine worthy!” (Eve’s opinion) hair cuts. Hypnotic esthetician Margaret Wenzlaff is a whiz with facial waxing, taking my eyebrows from a weird 1999-ish look to a younger-looking and more 2016 shape. (And of course, getting rid of any bizarre hair growths on my face that we shall not be named.) Her body waxing is also amazing for taking care of those larger hair removal tasks that, much like a great hair treatment on top of your head, can completely change your outlook and self esteem, as well as save you time in the shower. And as I write about often here on the blog, I am in love with massage and have had some incredible massages at Hypnotic from massage therapist Deborah Balenson. 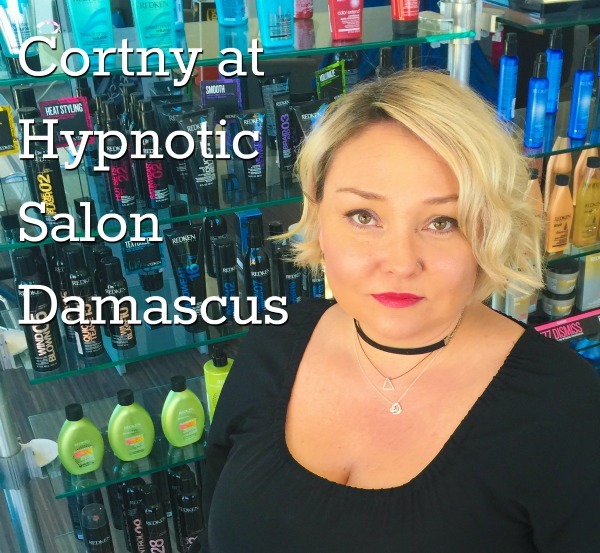 On my last visit to Hypnotic Damascus I had the pleasure of getting to know stylist Cortny Seaton. 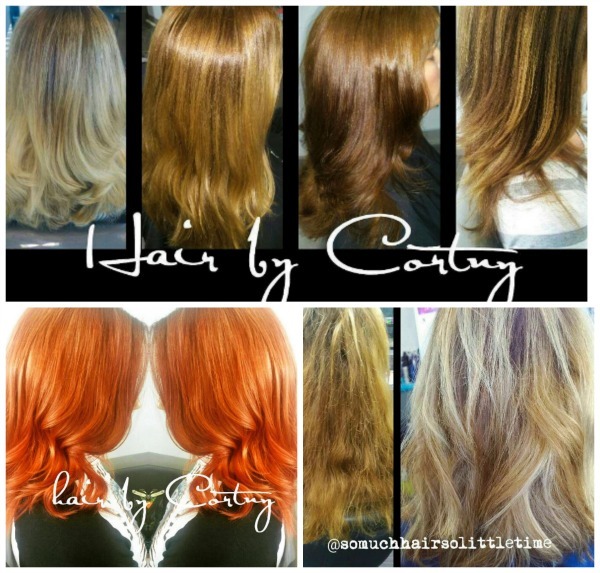 Cortny is a genius with women’s short hair cuts, bobs, pixies, blonding, baliage, dramatic colors, color correction and hair reinventions. She is obsessed with new hair trends and is a social media star, sharing her beautiful work on her clients at @SoMuchHairSoLittleTime on Instagram (a must-follow!). She is self-professed Redken fangirl, is often tagged by Redken for her for traditional and cutting edge color and cuts and is excited to become Redken Color Certified this year. Cortny also loves counseling her clients on the products and treatments that can transform their hair. She is a believer in the Olaplex hair treatment to permanently rebuild damaged disulphide bonds in hair that have been broken in due to chemical processes. She says that Olaplex allows her to help her clients rebuild and heal damaged hair, and allows clients to try new things with bleaching and color that used to not be possible. So can you tell I highly recommend Hypnotic? Here’s the contact info for booking your own ticket to an instant better day, week and month!